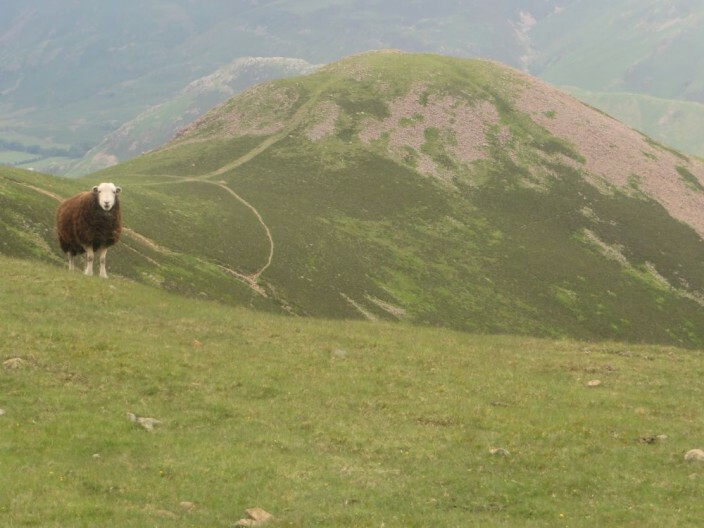 Weather: Warm and sunny at the start and for most of the day, light rain at the end. Waking up in Buttermere Youth Hostel in its picturesque setting I could take in most of the fells this walk would cover in one sweeping panorama by simple looking out of the bedroom window. 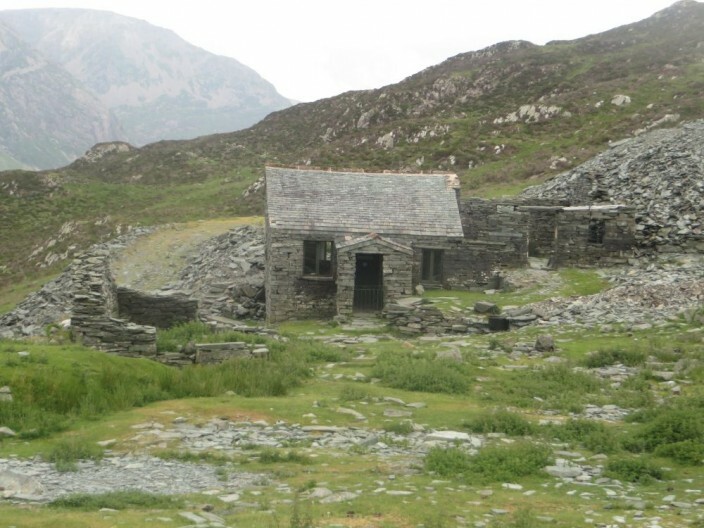 For this adventure I planned to take in several high fells including the final resting place of Alfred Wainwright’s ashes, Haystacks, and HIgh Stile, possessor of the highest summit on the south side of the valley. Setting of at a bright and breezy 8am I hoped to have finished my traverse and be eating an ice cream in Buttermere before forecast thunder storms arrived later in the afternoon. 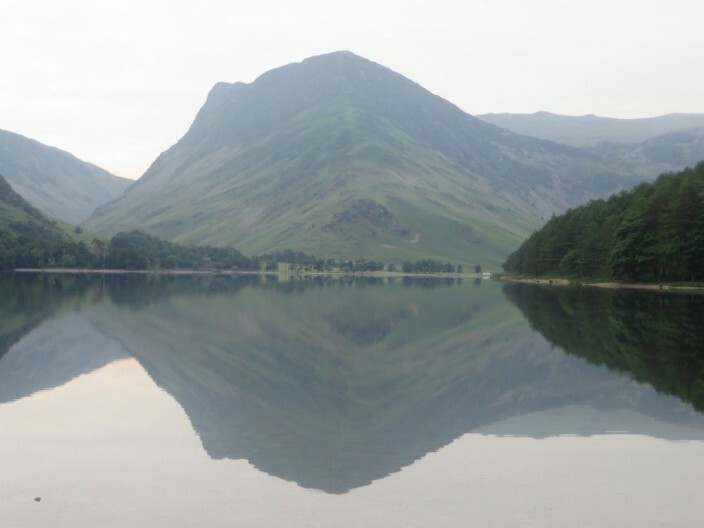 The early hour and calm weather meant that Buttermere lake was as smooth as a mirror when I passed and I couldn’t help but stop and admire the peaceful and picturesque scene. 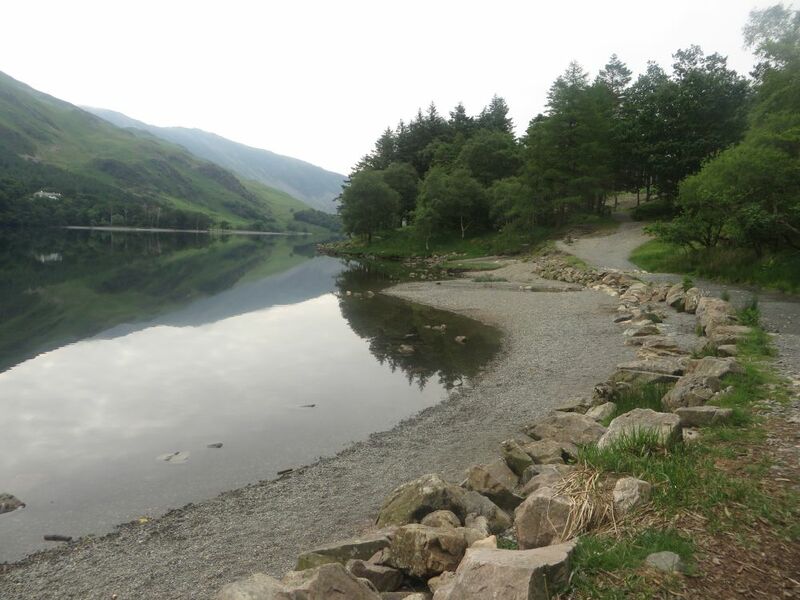 Following a path along the wooded southern shore of the lake, the water kept making an appearance through the trees, giving glimpses of the fells on the other side mirrored in its smooth surface. Once at the end of the lake my sights turned upwards. 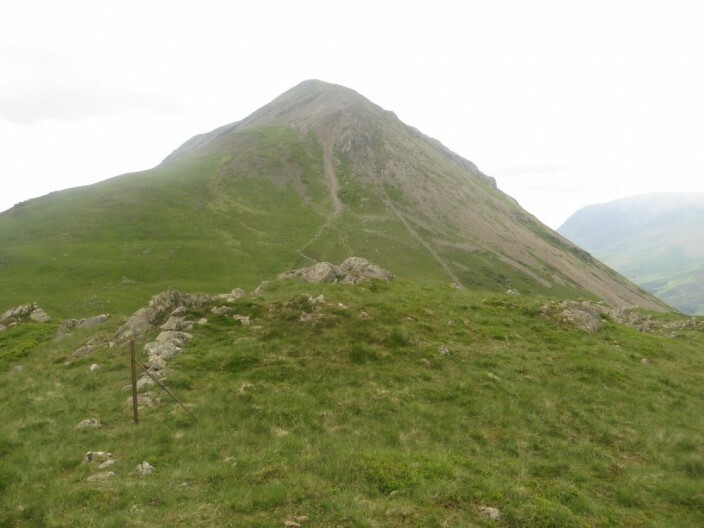 Rather than taking the direct route up the ridge of Fleetwith Pike which looked a little daunting when I was stood at the bottom of it, I opted for what looked like the slightly easier option of going up via Warnscale Bottom. 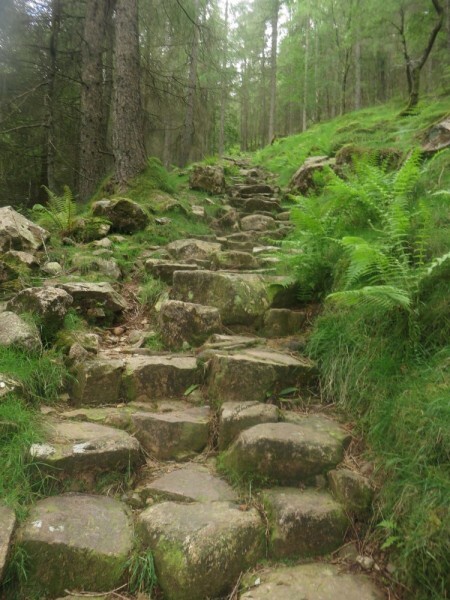 The path, sometimes stone pitched, and sometimes not, roughly follows the side of Warnscale Beck up towards the col at Dubs Bottom. 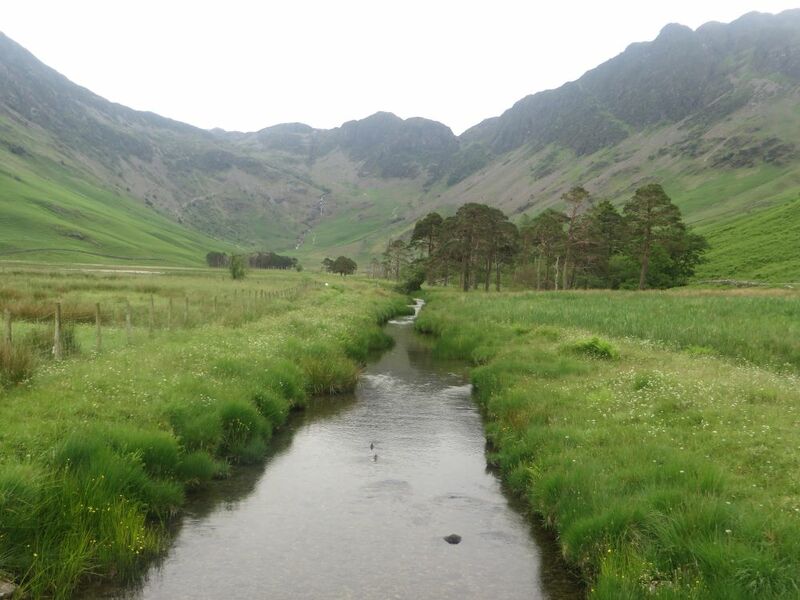 Turning round to look back to Buttermere and to my right into the gully carved by the beck, the views got progressively more interesting, the higher I went. Once at Dubs Bottom I turned left and took a more or less direct line of ascent to the summit of Fleetwith Pike and followed a rather vague path. 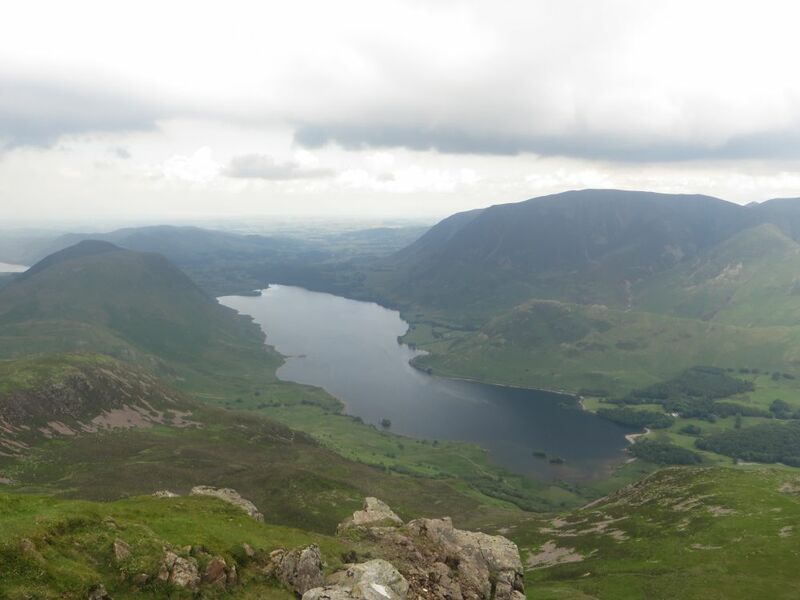 Perched at the head of the valley, Buttermere and Crummock Water are laid out in front of you from the summit, so I could see the progress already made and could look across what lay ahead too. 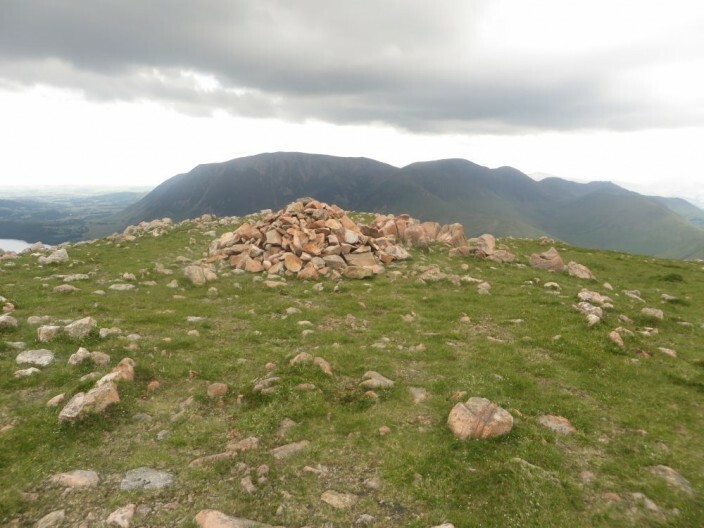 From Fleetwith Pike I found a slightly less vague path and followed it down to Dubs Quarry. 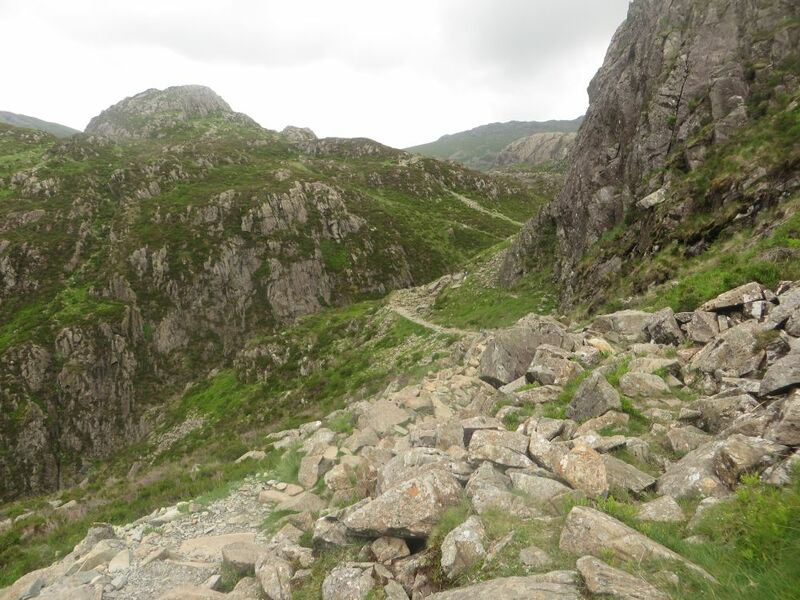 Here I crossed Warnscale Beck and started my journey to the top of Haystacks. The terrain between the col and the summit was varied and interesting, the undulating craggy nature meant that around each corner and over each lump something else was revealed in front of me. Blackbeck Tarn and Innominate Tarn were passed en route, and after passing several more undulations I reached the top of the renowned Lakeland fell. The summit consists of a couple of small rocky outcrops separated by a small depression containing a mini tarn. 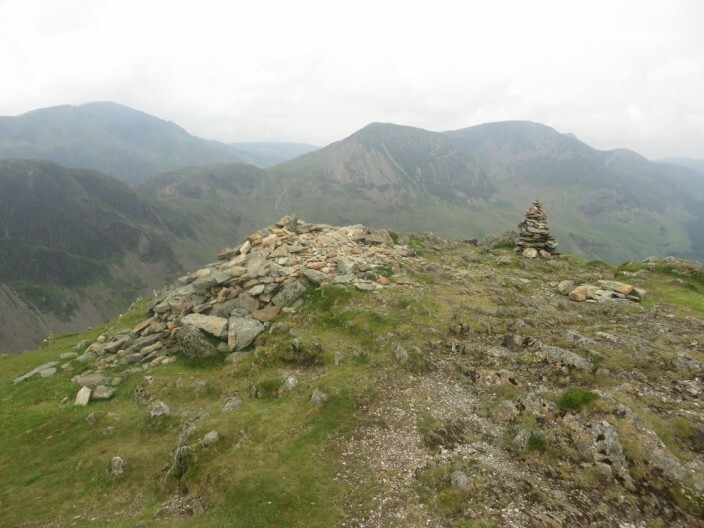 I wan’t sure which of the three competing cairns is the highest so visited them all, before settling down for a quick lunch break behind some rocks, sheltered from the breeze. 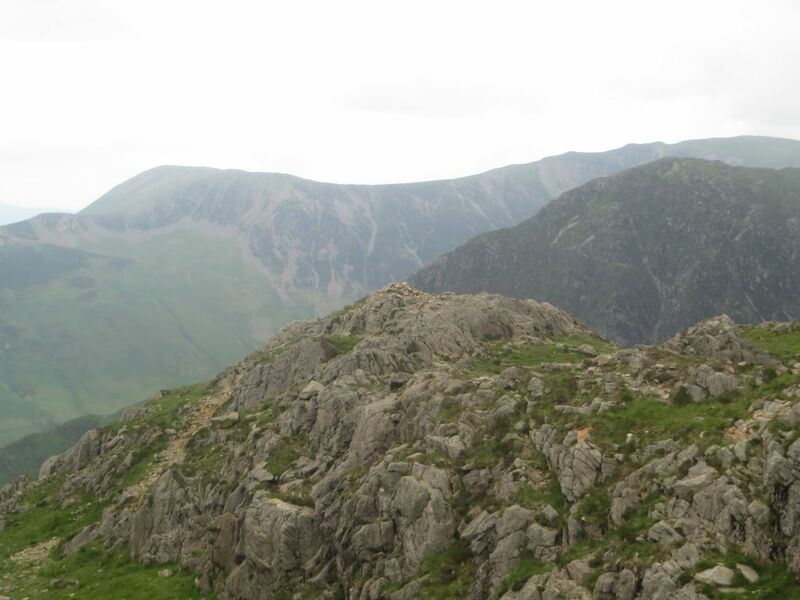 Rounding an outcrop on craggy Haystacks. From the top of Haystacks I somehow didn’t see the direct path down to Scarth Gap so I decided to follow a very dodgy and loose path and headed down the northern side of the fell. 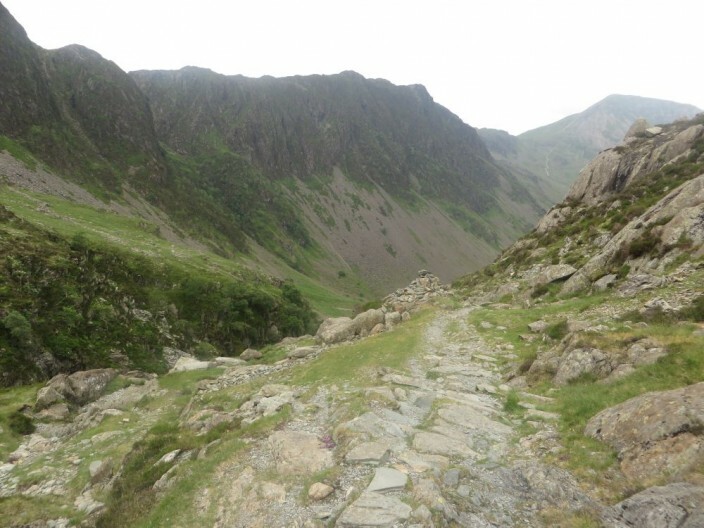 It may have been steep and loose under foot but it was quiet, which it turned out the popular route from Scarth Gap wasn’t. From Scarth Gap a long and direct ascent lay in front of me, up the ridge to High Crag via Seat. 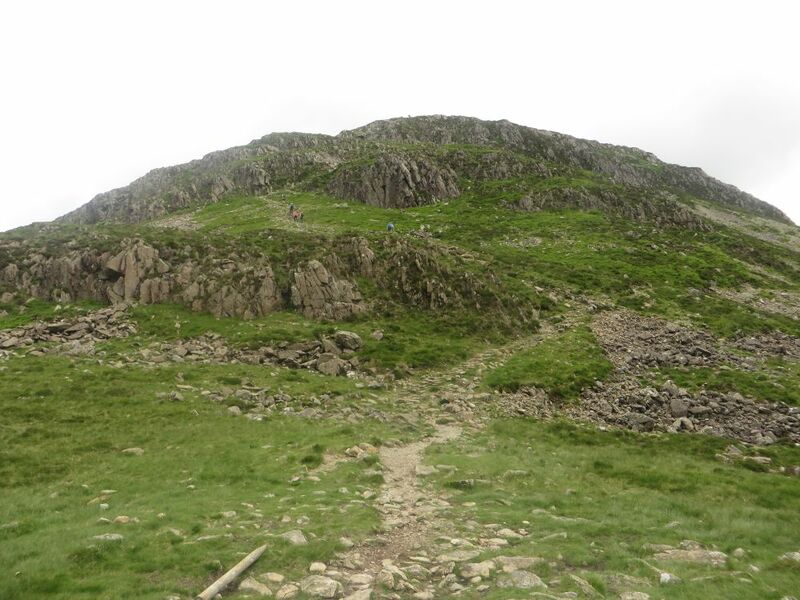 The path climbing Seat has received the Fix The Fells treatment and was pitched in large portions as it climbed in zig zag fashion up towards the subsidiary summit. 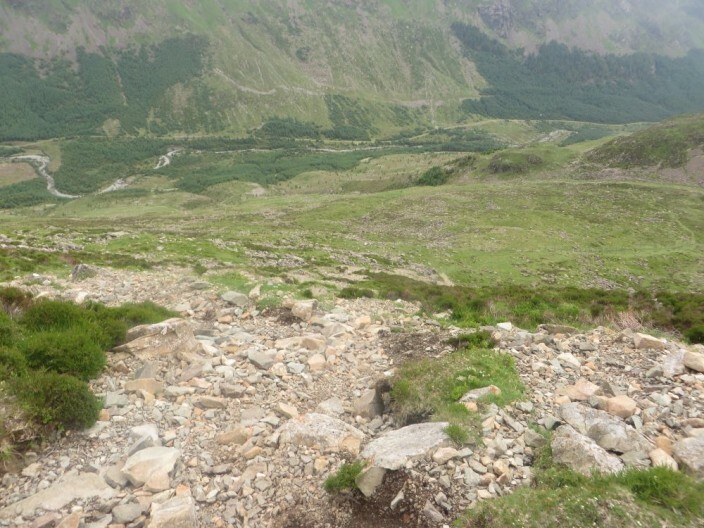 Once there a final, scree laden section lay ahead before I reached the 744m high peak. 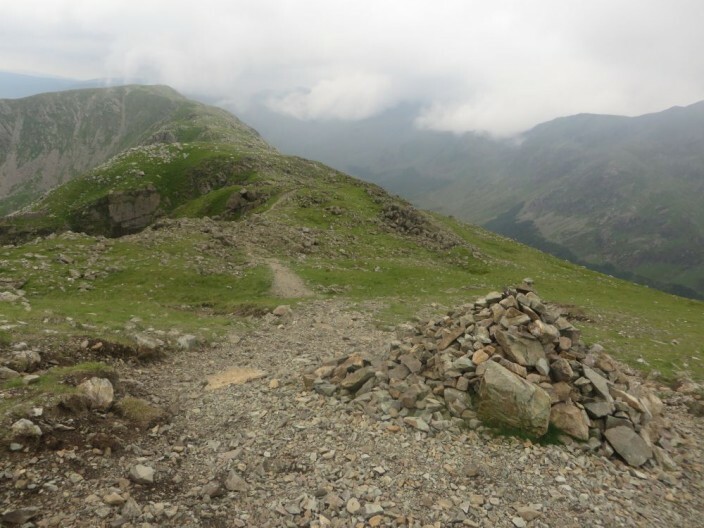 The route from here to the high point of this walk, High Stile, involves following a path close to the top of Eagle Crag, this provides stunning scenery and views towards Buttermere and a very interesting section of the walk. 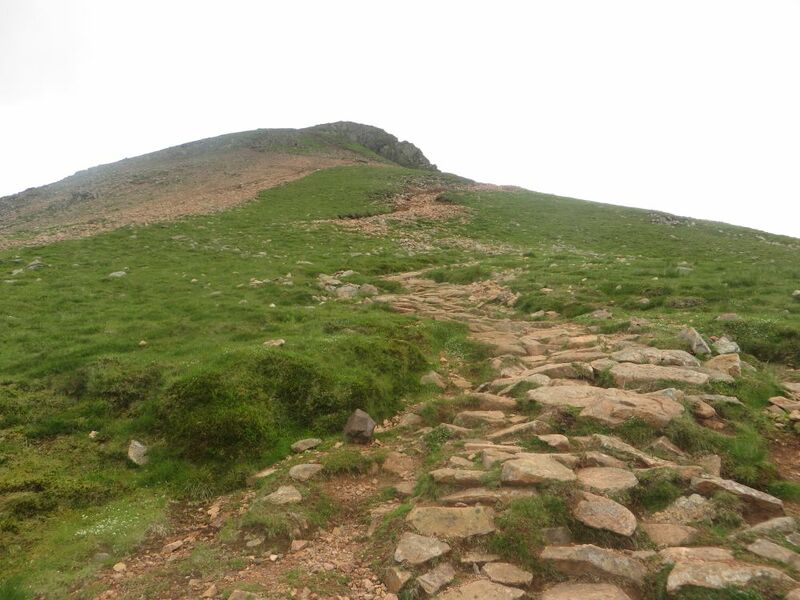 Leaving High Stile it was almost downhill back to Buttermere, but first the path leads to the unmistakable top of Red Pike. 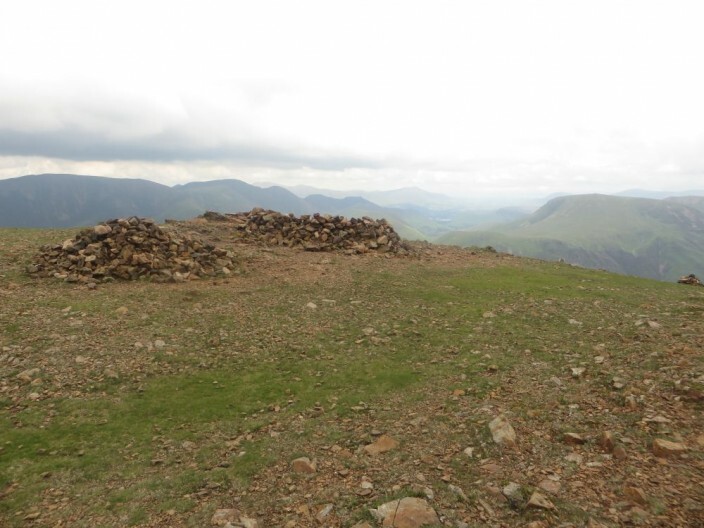 Unmistakeable, because seen from a distance the bare earth of the fell is red. 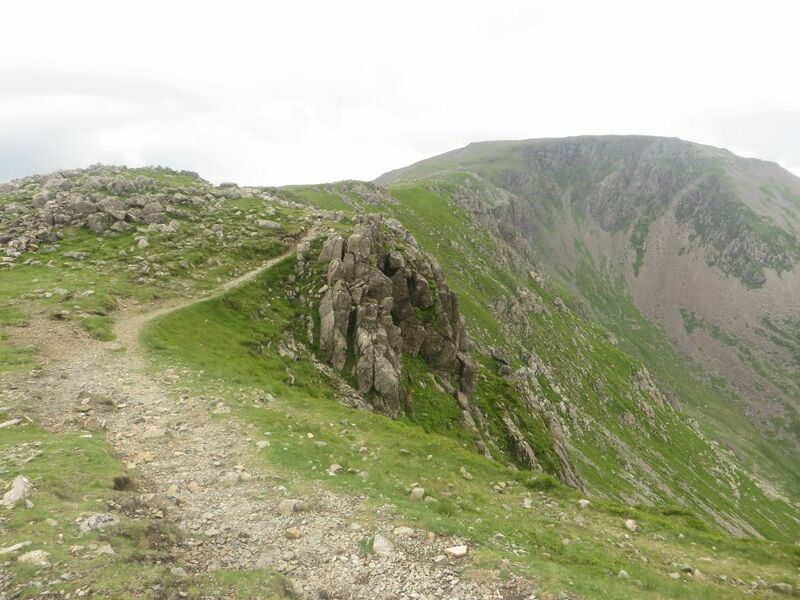 The path this time follows the edge of Bleaberry Comb, a large corrie carved into the fell side. 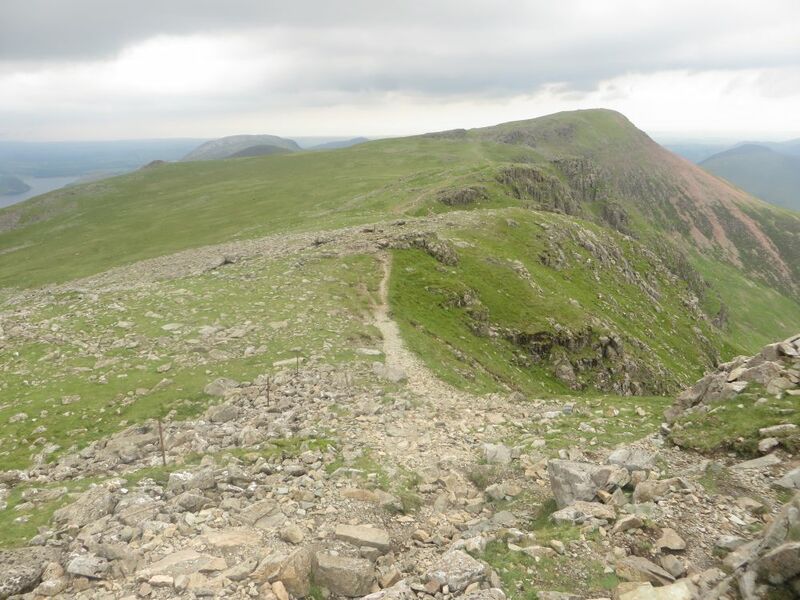 After a comparatively easy walk the summit of Red Pike is arrived at. The highest point is marked by a loose cairn formed of lumps of red stone, a similarly made shelter sits nearby. The top provides a place to view the length of Crummuck Water and a view as far as the west Cumbrian coast and beyond, as well as across the valley to the fells on the northern side of Buttermere. 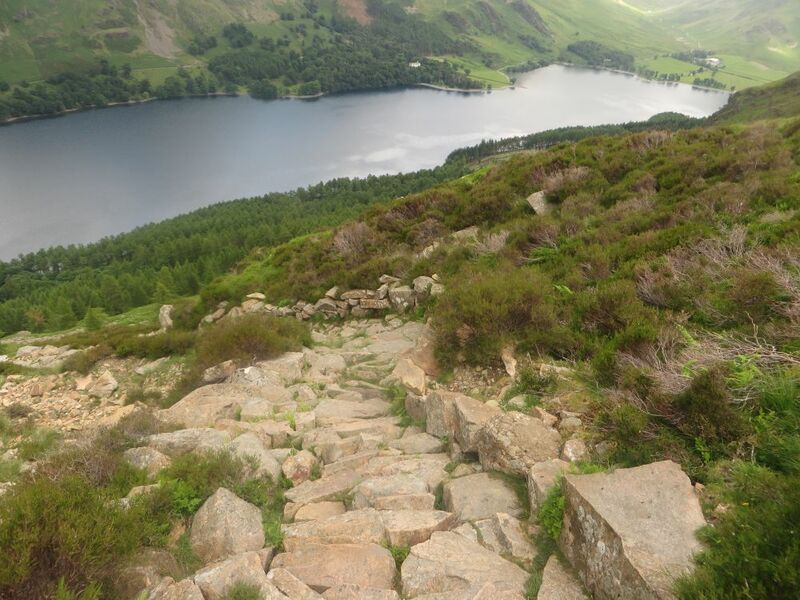 The start of the descent from Red Pike is particularly tricky, it’s one of the many paths in Lakeland which is much easier (and safer) to go up then down! In this instance the fell has suffered badly from erosion leaving a steep, direct ascent on tonnes of loose red stone and earth. Much care and slowness was needed but I safely navigated it, and reached the top of Dodd, a subsidiary pimple on the ridge which descends from Red Pike down to the valley floor. 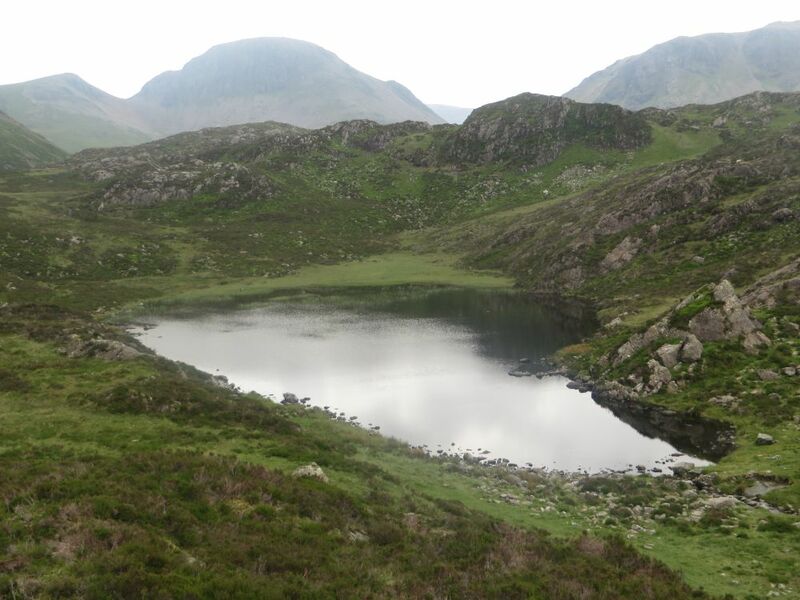 From here I descended a little further and reached the shore of Bleaberry tarn, nestled between Red Pike and High Stile which rise precipitously above. 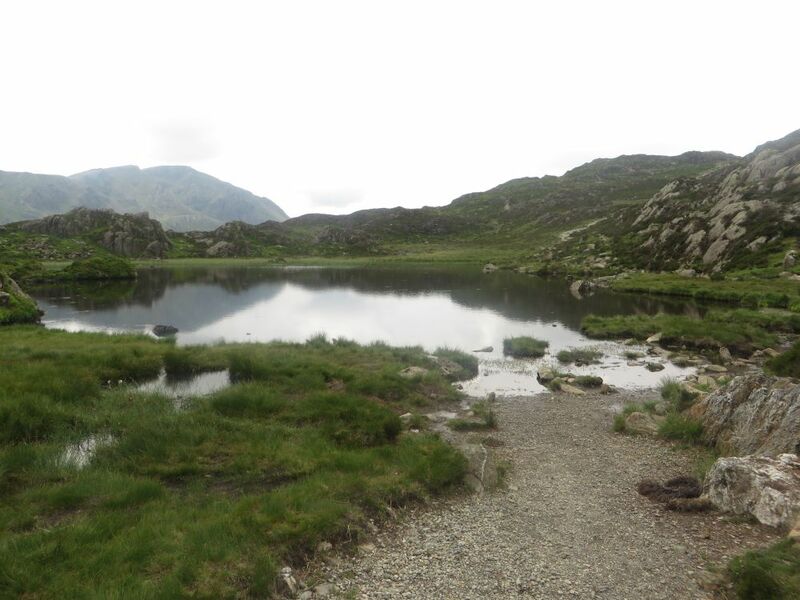 From the tarn, the path follows steeply falling ground down to valley level. For much of the descent the path is made from pitched stone, which when it’s dry, makes for a relatively quick and simple way to loose height quickly. 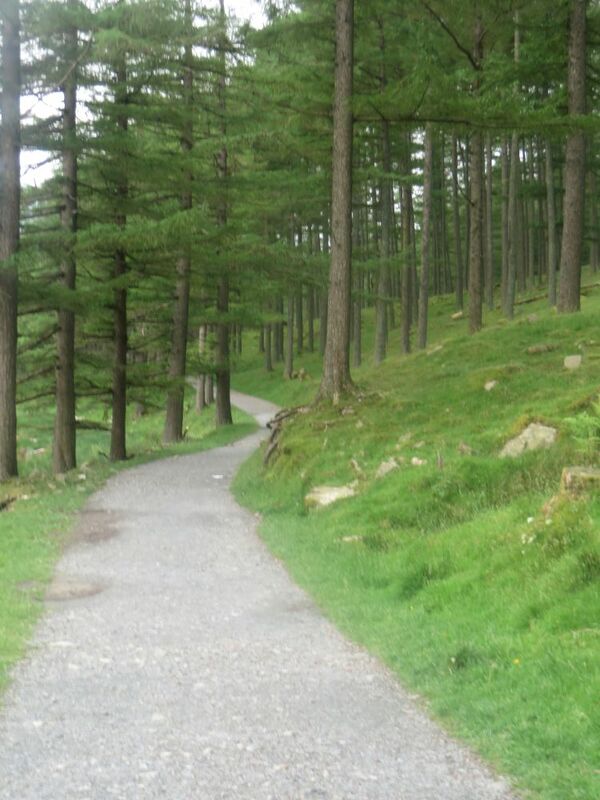 After leaving the open fell behind a short section of descending between the trees of Burtness Woods ensues before reaching valley level beside Buttermere where I’d been 7 and a half hours earlier in the day. 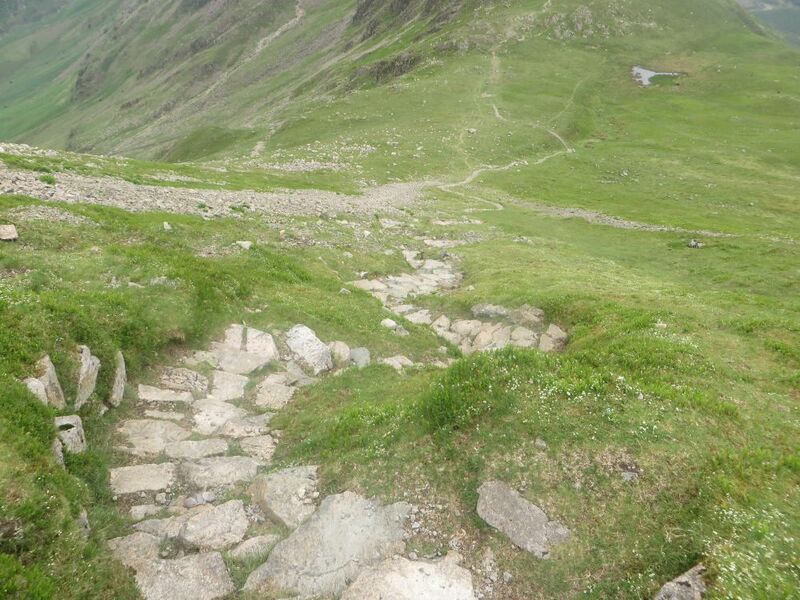 Ahead lay just a short section of path before I reached Buttermere and a waiting ice cream at Syke Farm Tearoom. 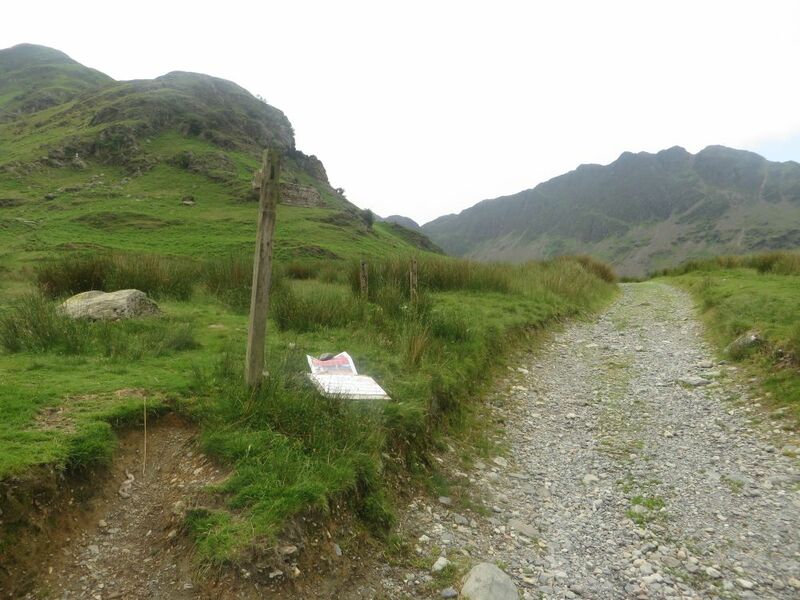 Fortunately I reached walks end and got my ice cream before it started raining. 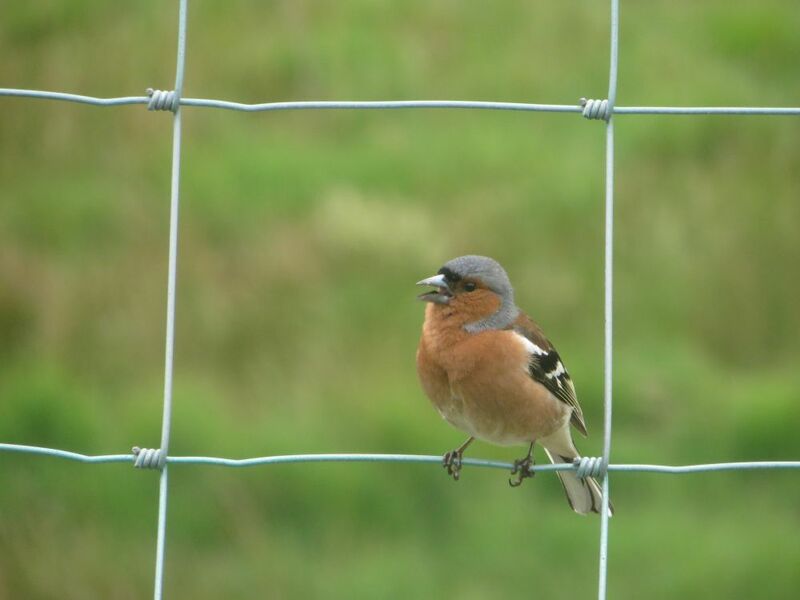 Unfortunately it started raining no more than one minute after I’d left the tea room, ice cream in hand, so had to make do with enjoying my post walk refreshment under the shelter of a nearby tree. 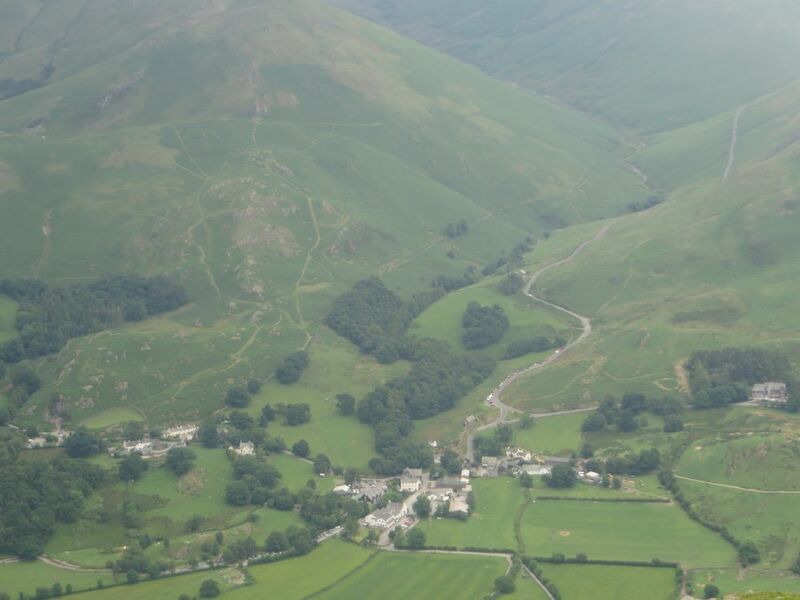 At the end of the walk, returning to the Youth Hostel, I could reflect on a fulfilling and interesting days fell walking and could look out across the valley surveying where I’d been earlier in the day. I could also, with a limited amount of satisfaction, be happy that I’d made the right decision in setting off early, as I walked the final yards of the day with rain dripping off my waterproof jacket!